A couple of weeks ago the sad news broke that Wunderbar, le Plateau Lounge and E.A.T. would be leaving the W Montreal. The news came out of left field and was a gut punch for many in the industry. For a number of us, these nightlife staples are synonymous with endless stories of great nights out in Montreal. Now, as the end looms near and their entry into legendary status awaits, we can all admit that the icy bar of Wunderbar, the soft autumn glow of le Plateau Lounge and the edgy art covered walls of EAT will sorely be missed. As with everything else in life, when one bar closes another one opens and we all must soldier on as something cool hovers just beyond the horizon. On December 16th we will celebrate one final bash at the W Montreal and if Wunderbar’s history is any indication, we’re definitely not going to go quietly into the night. I’ve been covering various events at the W Montreal for as long as I can remember. Late nights rolled into early mornings for many of us who came to Wunderbar to escape our long weeks with deliciously crafted cocktails, unique, groundbreaking music and an ambiance like nothing else we’d seen at the time in Montreal. One of my first articles on Day Jobs / Nightlife covered the Plateau Lounge and Wunderbar. I remember nervously walking through the sliding doors of the W Montreal for the very first time thinking that someone would eventually figure out I wasn’t cool enough to be in there. Making my way up to the mezzanine and taking a seat at the bar, I was instead greeted with authentic excitement which lead to a boost in character building confidence for me. I also met a couple of very cool people there over the years that I now get to count as friends. Even though these swanky hotspots may not have ignited my passion for the nightlife (that may have happened in my teens), my experiences there definitely fanned the flames. If this blog exists is because of places like this and I will always look back fondly. During a quick telephone call with Peter Chase, the man behind many of North America’s greatest nightlife institutions – including the W Montreal’s two bars and restaurant, we spoke frankly about the closing, how Wunderbar came to be and what he has up his sleeve for Montreal. Although understandably disappointed by the closures, Peter is realistic about saying goodbye to the current iterations of Wunderbar, le Plateau Lounge and EAT. In this business you have expect that all good things eventually must come to an end or at least evolve into something new. It was the Marriott group’s decision to restructure the W Montreal’s entertainment venues, ousting the BPC group from running the bars and restaurant. Peter looks back fondly on the early days of his first foray into the Canadian nightlife scene. The W Montreal was his first opportunity here and Wunderbar was born from a collaboration between his company and the Marriott group. 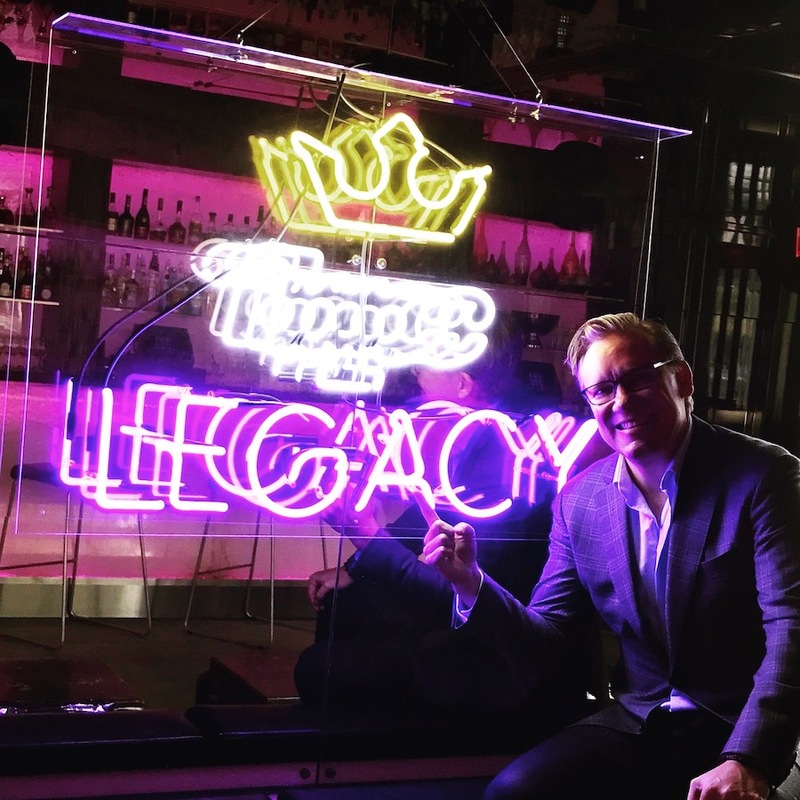 Although the New York based BPC group has been responsible for running an innumerable amount of bars and restaurants across North America, the company remains seen as a mom and pop operation by Peter and the group. Coming to terms on everything from naming Wunderbar to designing one of the first cocktail menus in the city to exploring exciting new music programs that worried the suits in control was not an easy feat but with the small group’s large success, they made it happen. The BPC Group was essential in ensuring that Wunderbar wasn’t called Stiletto, a name thrown around in the early days of planning and we are all grateful for his insistence. Wunderbar was one of the first bars in city to embrace hip-hop as the soundtrack that would fuel the wild nights that we’ve all experienced over the last 13 years. Looking to the future, the group has already made moves in the right direction by designing the public spaces including the new bar, restaurant and market at the recently renovated Fairmont Queen Elizabeth hotel. The show must go on and the BPC Group will continue to run the show as expertly as ever. Closing out a successful 13 year run calls for a big celebration. On December 16th the W Montreal will be the place to be for one last night in wonderland. The night’s theme is Last Call – The Thin Blue Line and it promises to be an epic swan song for a bar that set the bar high for everything that followed or will follow. Starting at 9:00pm on Saturday, December 16th and running until the wee hours of the morning, Last Call at Wunderbar (901 Square Victoria) is a special tribute to the women and men who serve in our city’s police force. They work to protect the businesses the patrons and the staff of Montreal’s busy nightlife scene and they are rarely celebrated for it. The night’s soundtrack will be provided by Hollywood A-list DJ Splyce and our very own The Flores Brothers. There are a few surprises that will be unveiled during the night but we don’t want to spoil anything until you see it for yourself. Space is limited so if you want to come dance the night away at Wunderbar one last time, I suggest you get there early. Lamenting gives way to nostalgia and while we can’t always have Wunderbar, le Plateau Lounge or EAT with us, we will always have our memories.